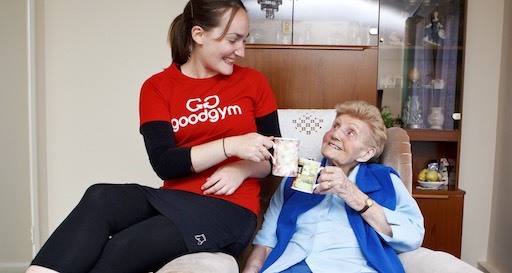 Connie, 78, was referred to GoodGym when her husband passed away after a long illness. Connie and her husband were married for 55 years so, when he passed away, Connie became very isolated and lonely. Kevin started visiting Connie in September 2014. I've never been a morning exerciser, always feeling heavy and sluggish first thing and as a result only trained after work - even though I knew deep down that it's a great way to start the day and get my brain firing on all cylinders. Being paired up with Connie has given me that motivation, getting to know her has been a breeze compared to the run there! Before I was paired up with Connie, I was worried whether I would be a suitable candidate. 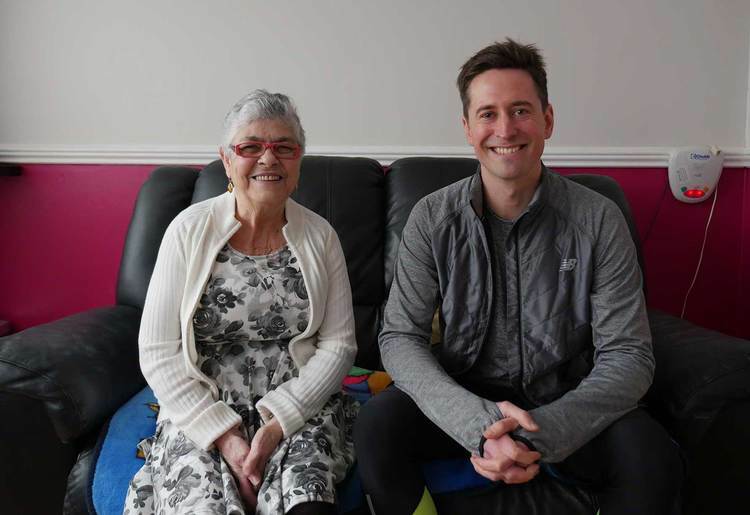 I had little experience of working with older people beyond visiting my own grandmother, and was a bit apprehensive about whether we'd have anything to talk about. I'm happy to say that there's never been an occasion when we've ran out of things to discuss! I usually stay for about 30 mins, talk about what's been going on in our lives and the news. It's really easy and relaxed. I think Connie genuinely looks forward to my visits every week and always greets me with a big smile. I hope that my visits have helped her to adjust to life after her husband passed away last year. Visiting my coach certainly makes me feel like I'm giving something back and I hope that GoodGym can reach more people like Connie all over the country. To tell you the truth, when my husband passed away I was feeling really down. I didn't really have anyone to chat to about it. In the beginning, I was very nervous about having someone new come as I wasn't used to talking to new people. But when I met Kevin, we clicked straight away. When I started talking to him, it was like a weight was lifted off my shoulders. He is so lovely and just an honest bloke. For anyone thinking about doing this, my advice would be to do it! There are lots of people that could benefit, not just me. Connie and Kevin continue to see each other each week and Kevin's running continues to improve.